Startup Milwaukee has partnered with Cognition for 5 Questions, a series that highlights entrepreneurs, investors, and leaders committed to advancing Milwaukee’s startup ecosystem. This edition features Jordon Meyer, founder and president of Granular, a digital marketing agency that specializes in pay-per-click ads. This interview has been edited for length and clarity. In the name of full disclosure, you and I go back about 15 years. You were even the first to tell me about Twitter back in the day! I always knew you were a tech guy but how did you get into marketing with Granular? I’ve always been passionate about the creative side of marketing, and in my first job out of college I was doing email and website work while sitting by the digital marketing team. I really liked how they had to figure out a way to encourage people to take the next step. I decided to focus on digital marketing after that, and then I honed in on paid search. I was better at it and it really scratched that itch of being an advertiser without necessarily being at a creative agency. Eventually, I moved to the Twin Cities to run paid search for Best Buy and then I worked in the higher education space, but at the same time I was doing side work for companies back here. I literally sold all of my nights and weekends consulting until I was forced to tell clients I had no more time. That’s when one of them told me they’d love the opportunity to invest in a startup agency. I had been thinking about doing the side-hustle full-time anyway, so in November 2014 I formed Granular and moved back to Milwaukee the next month to start operating it. What a great way to have found your niche! What do you think makes paid search such a good fit for you? Paid search has more of an art and a science to it. The science part is the basic math where you figure out how to get more money out of an ad than you put in. The art is the extra you can squeeze out to take it from good to great. It’s fun because you can be a data nerd and look at analytics all day, which the team and I are really good at and enjoy, but on the flip side you get to use the other part of your brain and come up with creative ways to advertise to consumers. You also have to understand people and how they interact with the internet to know why they’ll be enticed. And by now, it also comes down to experience. I’ve literally seen hundreds of accounts so I know what a click should cost, what a conversion rate should be, what a good ad is, and it’s all top-of-mind so I can quickly identify improvements without having to test things. Do you think it’s a good thing that Facebook and Google AdWords now make it so easy for a person to create ads on their own? Yeah, because the economics may not work for a startup to pay for both the ads and our services to manage them. Businesses with small budgets should definitely test the waters on their own and they might get some positive results. What’s cool about Facebook is it’s not intimidating to boost a post and see engagement and number of clicks right away. That encourages people, which bleeds into [Google] AdWords. The problem is AdWords is a lot trickier than Facebook so we’ve seen a lot of wasted money there. Many try to do it on their own and can get by, but I equate it to flying a plane. They can push the throttle forward to start moving the plane and steer it so it stays on the runway, but they can’t take off. They don’t understand what speed they need to be at, what pitch the ailerons should be, or what to do inside the cockpit to actually get off the ground. They’re really just driving around the runway, which looks like piloting but they’re not really flying. That’s where we come in. We know where the hundreds of switches in the cockpit are and what each one does, and it makes a lot of difference. That analogy really speaks to your expertise! Aside from your skills, what else benefits your business? I started an agency because of my passion to do good work, so we really just try to be friendly with all other competitors. It’s worked out well to be able to collaborate and share advice without being petty or fighting over clients. We had a competitor once where one of us hired an employee from the other, and that could have created a bitter rivalry where we wouldn’t have wanted to talk to each other, but we went on to form a beneficial partnership. We just got together as two leaders and had the vision to see that that little speed bump was not a big deal in the grand scheme of things. There are so many small businesses that need our help that I don’t see the point in setting up walls between ourselves and others or having any weird hostility. So I would say that partnerships and building strong community relationships in Milwaukee have really helped us grow. Speaking of Milwaukee, after having ran paid search for the likes of Best Buy in the Twin Cities, why start Granular here? Ten-thousand Lakes is no match for the Great Lake! Milwaukee always felt like home and logistically it‘s way better than the Twin Cities in the middle of nowhere. A lot of young, smart people are putting thankless time and energy into the startup scene lately, too. So many businesses in Milwaukee have clients coast-to-coast in the biggest cities in the nation, yet those here in town don’t even realize talent is right here in their backyard. It drives me crazy when I see large and medium-sized companies farming out their paid search, SEO [Search Engine Optimization], or web design to out-of-state providers. We’ve even seen local political campaigns run by people in places like Florida! I wish they knew they don’t have to sacrifice talent to support local businesses. And I’m not just talking about Granular, it would be great if every agency in Milwaukee could get a piece of that pie. Asha Dewan is the owner of Cognition, a writing agency located in Milwaukee, WI. Cognition specializes in creating digital content to help businesses save time and bandwidth while maintaining visibility. Startup Milwaukee has partnered with Cognition for 5 Questions, a series that highlights entrepreneurs, investors, and leaders committed to advancing Milwaukee’s startup ecosystem. This edition features Dave Sachse, an angel investor and founder of the startup consulting company, Midwest Perks. This interview has been edited for length and clarity. So you’re the owner of Midwest Perks by day and angel investor by night. How does that work? Midwest Perks is a small consulting boutique that helps early-stage startups with sales strategies, customer acquisition, and investor outreach. I run the business about one-third of my time. The other two-thirds, I focus on investing in early-stage startups, both as an individual angel investor and as part of a family venture fund I started in March 2017. So far, we [the Sachse Family Fund] have looked at more than 150 startups and invested in six. If we don’t necessarily invest in a startup right away, it doesn’t mean we’re not going to try to add value or keep watching them. Midwest Perks then gives us a better ability to understand things like their sales process, customer reaction, and how quickly they can iterate the product. It provides a lot of intel that’s helpful from an investment standpoint that you typically don’t get through normal due diligence. In terms of intel then, if two companies are equal on paper what would make you invest in one over the other? A lot of it is the people. I grew up with my family around the poker table, and in poker it’s all about reading people and getting a gut feeling. You don’t have a ton of data when doing early stage investing, so you have to read people to see if they’re going to be transparent and resilient. In the startup realm, and in the entrepreneur world in general, it’s a journey of peaks and valleys and you don’t necessarily want to go along for the ride on each one, you want people that will stay even-keeled and consistently execute. Those are the people we try to look for, not the ones that just want to play CEO or be in magazines. It’s about whether they’re passionate about the problem they’re trying to solve. And you have to consider whether they’re people you want to help for the next five to 10 years because I like to be active and supportive throughout. I want to add strategic value, and one way I can do that is through Midwest Perks. I just try to assist entrepreneurs wherever they want assistance and then get out of their way. What’s one of the ways you’ve assisted your clients the most? Some of the founders I work with are a lot more technical, so since they’re the ones who built the product they’re very excited about all it can do. When they pitch, I remind them not to focus too much on all the different features, or do what we call “show up and throw up”. That’s where they just blab on and on about technical specifications without asking prospective customers discovery questions to better understand where the technology can be useful. So I often help a lot of technical founders with that mindset change. That allows them to better qualify leads and get answers earlier on in sales cycle to get paying customers. Your first paying customer not only gives you cash to operate but, more importantly, you get a customer to learn from so you can better iterate the product and solutions, get to market quicker, and build a sustainable business. The two things early-stage startups need most are customers and investors, and unfortunately about 75% of venture capital money is predominantly in three areas – New York, Massachusetts, and California. Why do you think there’s not more venture capital activity locally? It’s a combination of a lot of different things, like our conservative mentality and already having a lot of established companies. There’s no doubt angel investing in particular is one of the biggest financial risks, but one of the reasons we do it is to help with job creation and the local economy. But investors in Wisconsin are more comfortable with real estate or private equity-type deals where there’s a lot more data. Not a lot invest the first $500K in a high-growth technology company. As a result, there hasn’t been a strong structure or ecosystem to help budding entrepreneurs with their journey. But that’s slowly starting to change as more investors are looking at startups. Plus, corporations and universities have gotten more involved in the past five years with the help of programs like gener8tor, The Commons, and Startup Milwaukee. With things slowly changing for Milwaukee, what excites you most right now? Milwaukee has a lot of strong companies starting to understand that it’s important to do venture arms and support startups. Companies like Northwestern Mutual and Aurora Healthcare are leading by example and screaming at the top of their corporate lungs to invest in the ecosystem to develop and retain tech talent. The economic development of Milwaukee is also phenomenal. You have the Fiserv Forum now and you’re starting to see a lot of buildings being refurbished and new apartment buildings going up. Lots of spots look a lot different than they did 10 years ago. So it’s really cool to see a lot of the transformation that’s occurring. There’s real opportunity in Milwaukee for entrepreneurs to build and create, and I think the seeds are just starting to sprout. Startup Milwaukee has partnered with Cognition for 5 Questions, a series that highlights entrepreneurs, investors, and leaders committed to advancing Milwaukee’s startup ecosystem. This edition features Chris Widmayer, co-founder and CEO of Penrod, which implements Salesforce.com for life science companies. This interview has been edited for length and clarity. As a Salesforce.com implementation partner, why would a company need Penrod? Can’t they just buy the software and set it up on their own? What Penrod offers is expertise on how to build on the Salesforce.com platform, which is pretty difficult and easy to make mistakes on. When I was working as a consultant before Penrod started, I saw companies that had invested like $500,000 in software they were unable to use because it wasn't implemented well and they didn't trust it. That’s where I saw the opportunity for Penrod. Other partners were just trying to get things done without challenging themselves to come up with good, quality solutions. We wanted to be a different kind of partner whose goal is to build a sustainable, growing system, not just to pound out some billable hours. That was the start of always doing things unconventionally, like with our pricing model and things like that. What’s unconventional about your pricing model? We do fixed-bid. In the SalesForce ecosystem and the CRM [Customer Relationship Management] ecosystem in general, most charge for time and materials. But one of the hardest parts of consulting is that if I hired you at an hourly rate and you estimated 100 hours when it takes 200, I’ve just blown the budget by double. Instead, we come in, do a discovery, and give the customer the advantage of knowing upfront what they’ll pay for a product. Now, because of that, our scoping processes are very involved and intimate. But that also makes the customer feel more comfortable and allows us to build that relationship upfront. Our ultimate goal is to give such good customer service that we get invited to the company Christmas party. And to do that, one of the first things we do is get the economics out of the conversation. That way, we don’t have to talk about money in the middle of a project of that’s going great, which could completely change the dynamics. I love that your goal is to get invited to customers’ Christmas parties. Do you actually get invited and attend them? We do! We actually just had a recent one by one of our biggest clients. When I scoped the project, I thought it was going to be a tough deal. The budget wasn't quite what everyone wanted but it moved forward. Then three months ago we got word that the product team got invited to the Christmas party, which they just went to a few weeks ago. That’s the best thing you could have happen in our company because then you're living the values. Our team is second to none, and we realize everyone has to be performing for this thing to work. We’ve had great years, we’ve had tough years, and we’re still here. That’s the key in business. If after all the smoke clears you’re still there, you have a fighting chance. With that in mind, what’s been your toughest year so far? It was 2017, for sure. That year, we had the best January ever from a sales standpoint, even booking one million dollars in business in one day. It was exhilarating for us but after that we ended up over-hiring, and then we didn’t have the sales to match that. So that was a year we were able to reset and get a little smarter about how we grow. But to be honest, I don’t think I’d have wanted it to happen any other way. That transformed the entire way we run our company because until then, we had had so much success and growth so fast that it was masking problems from a process standpoint. So that helped us re-establish a lot of our processes, define a leadership team, and define the way we strategize and budget from a year-over-year standpoint. That would have happened eventually so I'm glad it did then and not years later when it’d be a bigger issue. I can see why you’d be glad! In addition, are you glad to be located in Milwaukee? Yeah, the best thing about being here in Milwaukee is amazing access to technical and business talent. MSOE [Milwaukee School of Engineering], Marquette [University], UWM [University of Wisconsin Milwaukee] are all really good schools. But a lot of people don’t realize that someone coming out of MSOE at age 23 and out of Stanford at 23 are very similar resources, so not enough businesses are grabbing that MSOE person and keeping them here. So we balance bringing on experienced people with people straight out of college. Our goal at the end of the day is to help grow people in this industry and just in general, whether that be in the middle of their careers or the start of their careers. If they grow then they're going to benefit the business. The hope is that they'll stay with us long-term, but even if they choose to move on, we're happy to see them do great things at other places. Asha Dewan is the owner of Cognition, a writing agency located in Milwaukee, WI. Cognition works with a variety of businesses to create engaging content that helps them maintain visibility. The following is a guest post by Teresa Esser, Managing Director of Silicon Pastures an angel investment network based in the Milwaukee region. Some angel investors are doctors and lawyers, supermodels or professional athletes. But angel investors can also be school teachers, plumbers, construction workers or others who made the decision to work hard and save their money. There is nothing particularly extraordinary about people who decide to become angels. Many are modest, everyday folks who took a risk, seized an opportunity, stuck their neck out, and found a way to create jobs for themselves and the people around them. Silicon Pastures knows that at one point, everyone who eventually went on to become very successful started out as a novice in their chosen field. There is no such thing as being born an expert. To succeed, you have to take classes, ask questions, and do homework. It's the same thing with angel investing. When you begin a new career -- or a new hobby -- as an angel investor, you have to start at the beginning. No one has a wealth of experience on day one. And that's okay. Because on Wednesday, February 13th, Silicon Pastures will hold an educational seminar on two of the most important parts of angel investing: Term Sheets and Taxation. The class will happen over the lunch hour, and food will be provided. The Term Sheets & Tax Class will be taught by Attorney John McDonald of the Godfrey & Kahn Law Firm. Attorney McDonald will use one or more case studies to walk prospective investors through the life cycle of a hypothetical investment. What kinds of terms are more favorable to angel investors? What kinds of terms are more favorable to entrepreneurs? How do angels and entrepreneurs negotiate? How can different terms lead to different results, when it's time to cash out? What's the difference between common, preferred, and participating preferred? What are the tax benefits of angel investing? What is the difference between buying units of an LLC vs. shares of a C corp? What is a K-1, and how do I know if I need one? What is Wisconsin's Act 255? Who decides whether a company qualifies to be a QNBV? The class is free and open to the public.If you would like to take this class, please register here. Startup Milwaukee has partnered with Cognition for 5 Questions, a series that highlights entrepreneurs, investors, and leaders committed to advancing Milwaukee’s startup ecosystem. This edition features Reid Holzworth, Founder and CEO of the insurance software company, TechCanary, which was recently ranked #393 on Inc. 5000’s fastest growing companies. This interview has been edited for length and clarity. How did TechCanary get started and then grow into the #1 insurance solution on Salesforce.com? TechCanary was born when I owned my own insurance agency. As an entrepreneur, I was always looking for ways to streamline the business and found myself seeking a software solution that didn’t exist. I decided to build it myself by partnering with Salesforce.com, who then saw its value to the insurance industry and approached me to bring it to market. So I started operating TechCanary and rebuilding the product out of an apartment in Riverwest. Once we took it to market in 2013, it exploded and we’ve grown 300-400% year-over-year since. It was a lot of luck but also a lot of days riding my bike to work from 4:00am to 8:00pm. It’s been hard work, but we’ve done it by assembling the right team, working with the right people, and developing the right culture. What’s the “right” culture? Lots of companies tout a great culture with ping pong tables and free snacks. Is that TechCanary? The right culture has to do with hiring people that share the same core values as our organization. When people walk into our office, they see that everyone is grinding and working hard but they’re happy and having fun. Yes, we have all the cliché stuff like foosball tables, and snacks -- there’s even a racecar in the middle of our office. But we don’t do all that to dangle a carrot in front of people, it’s so they can grab a quick bite or detach for 20 minutes with a game of ping pong. Just this past week, one of our employees told me this is her first job where she actually prefers coming in to the office instead of working from home. That’s the kind of culture you want. It’s great you can offer that as a successful entrepreneur. What do you think it takes to become one? Entrepreneurs have to be a little crazy. It requires self-confidence, getting lucky, honoring your word, and the gift of gab. You also have to be able to pivot. It’s been interesting for our company to have grown so fast because just when we hit the next level everything we thought we figured out no longer works. Just 60 days ago we went through an entire reorganization because after growing so fast various departments weren't aligned. Even though we were under the gun on a lot of things, I threw in a grenade and blew up an entire department and now it’s awesome. We broke out of our silos and even though it may have set us back a little at the time, we’ll now move forward way faster with everyone aligned. So you have to be a little crazy and willing to make tough decisions then deal with the outcomes. With that in mind, what’s been your toughest business decision to date? Shortly after we launched, I was renting a tiny office above a Panda Express for me and 2 employees when I was approached by a private equity company. They were looking to get into the insurance software business with a product exactly like ours so they ended up putting a huge offer in front of me. It was the most money I had ever seen in my life, so I had to make the hardest business and personal decision ever because I had to have confidence. I had to decide whether I take their money, run with their cushy job, and bail on my employees, or say I don’t care that I smell like Chinese food right now, I can do this myself. Most people seeing that check would have decided that was a win right there, but because I didn’t the business is now worth 20 times more than that check was. That’s awesome! And now I’m hungry for Chinese, so let’s wrap up with one more question. As an industry leader that could be located anywhere, why have you chosen to stay in Milwaukee? A lot of people we work with also wonder that, but Milwaukee really is a hidden gem. It’s a cool culture where people are down-to-earth and not pretentious. People are also loyal, I love that the core values of the city’s culture match the core values of our organization. The cost of living is also great, and if you want the big city, Chicago is super close. Logistically, we’re in the middle of the country so it’s easy to fly anywhere in the country in 3 hours. And as a tech company, there’s no one else in the state that does what we do. So culturally, logistically, business-wise, it’s all great. Access HealthNet has developed a platform to connect self-insured employers with bundled healthcare procedures from providers. The company continued to grow partnerships with providers such as CBC Surgery Center and Trilogy Health in 2018. Alinea Engage helps Physical Therapy practices manage their patient pipeline has flown under the radar but recently raised a $860,000 seed round with participation from Advocate Aurora’s Invest MKE, Golden Angels Investors and Northwestern Mutual’s Cream City Ventures. The company presented at Startup Milwaukee’s HealthTech EMERGE in early 2018. Alithias is helping employers around the state negotiate lower cost procedures for their employees using their technology tools which increase pricing transparency continues to grow as employers look to manage healthcare costs. EmOpti a startup that helps health systems like Advocate Aurora optimize their emergency room care through a telehealth solution continues to grow. They recently raised $1.35mCCMP a New York based Private Equity firm. Foundry Health operates under the radar - the bootstrapped developer of an EMR for the Clinical Testing space is headquartered in Grafton with a global customer base and a team of about 12. Founder Brock Heinz has been able to land some significant customers such Johnson & Johnson after spinning out of West Bend, based Spaulding Clinical in about 2014. It will be exciting to watch him grow. GenoPalate a company that helps you optimize your diet based on your genetics has developed two new product offerings to drive recurring revenue and recently closed a $1.35m seed round from local investors to help scale. Healthio a Brookfield based startup that is developing an app to help patients track their health inked a unique partnership with GE Healthcare and aims to raise $6m. OTECH Group which has developed self-service kiosks and solutions that help healthcare providers increase patient engagement and improve efficiency operates quietly out of Jackson, WI but has a customers in 40 states across the country and is rated highly by industry sources. ReNeuroGen is developing a drug to reverse the effects of MS. The company has been funded by SBIR grants but is currently raising a $1.75m seed round hoping to close by end of Q1 2019. Sift Healthcare a HealthTech company developing a software platform leveraging Machine Learning and AI to help providers manage their revenue cycles closed a $1m seed round in November with Winnebago Seed Fund and Madison-based payment processor Wind River Financial leading the round Sift also announced a strategic partnership with Wind River Financial and that the company was accepted into Startup Health’s Academy a national accelerator program. Somna Therapeutics received FDA approval to sell their RefluxBand product over the counter in 2018. The company is closing a $2m funding round in January with participation from 30ventures and Bascom Ventures and plans to expand their team in 2018. Spaulding Medical developers of a portable ECG officially spun out of parent company Spaulding Clinical earlier this year, the new company has 14 employees based in West Bend. Spaulding Medical CEO, Amanda Baltz expects the company to grow 4x and employ over 50 by 2023. Tai Diagnostics is developing a blood-based testing products for organ transplant rejection raised $12.8m in venture capital this year. The company which was launched by a Medical College of Wisconsin professor is striving to commercialize their technology first for heart transplant procedures but plans to develop other tests as well. The company has raised $21m+ in investment since launching in 2015. Now, that you have reviewed the list of startups were watching. We want to hear about what local health startups you’re watching in 2019, drop me a note. 1. Gain Professional Skills: During workshops, you’ll be exposed to new concepts such as design thinking and rapid prototyping. Plus, you’ll have the opportunity to develop leadership and management skills. 2. Build Your Network: Meet other participants with a variety of backgrounds and skills, and gain exposure to community leaders from city government, business improvement districts and other civic organizations. 3. Learn From Local Mentors: Each team will have local community leaders, content experts and entrepreneurs as advisors to guide you as you develop your solution. 4. Explore New Neighborhoods: Visit areas of the city that you’ve never been to before, and get to know the businesses and people that exist there. 5. Rep Your Company: Be a positive representative of your company in the community, and take what you learn in the program back to your workplace. 6. Give Back to Your Community: Help solve real community challenges like public health and safety, urban planning and infrastructure. Tech Canary developers of insurance industry software on the salesforce platform. The company appeared on the Inc 500 list for the first time this year at #393. Tai Diagnostics a biotech startup developing non-invasive diagnostic tests to monitor the health of transplanted organs closed a $12.8m Series A round this summer with plans to leverage the investment for clinical tests of their technology. Penrod had another solid year, the bootstrapped provider of Salesforce development services for life sciences companies once again made Inc Magazine’s list of the 500 fastest growing companies in America by revenue. Bright Cellars the wine subscription company for millennials continued to raise money to finance their growth, the company which reports having over 22,000 members closed a $2.8m round led by Chicago’s Cleveland Avenue and Milwaukee’s Cream City Ventures in 2018. Sift Healthcare a HealthTech company developing a software platform leveraging Machine Learning and AI to help providers manage their revenue cycles closed a $1m seed round in November with Winnebago Seed Fund and Madison-based payment processor Wind River Financial leading the round. Sift also announced a strategic partnership with Wind River Financial and that the company was accepted into Startup Health’s Academy a national accelerator program. Dream City Music a platform for booking live music for events such as weddings raised a $100,000 seed round from local angel investor Jim Mueller who is one of the founders of Zywave. SteamChain recently closed a $2.7m seed round from backers such as Northwestern Mutual’s Cream City Ventures, the company seeks to bring the “Machine as a Service” business model to the advanced manufacturing industry leveraging Blockchain. Rent College Pads a real estate tech startup that connects millions of college students to off campus housing made their first appearance on Inc Magazine’s list of the 5000 fastest growing companies in 2018 coming in at #514 Rent College Pads was the third fastest growing company in the Milwaukee area. Coinigy a fast-growing Milwaukee startup in the cryptocurrency trading space launched a subscription platform for cryptocurrency traders earlier this year and continues to grow. Frontdesk which provides corporate housing solutions had a year of growth which included raising a $1m+ seed round which included investors such as Bucks owner Mark Lasry and Madison-based family office Lancaster Investments. PlasmaE a water tech company partnered with Chryspac to produce their next-generation aerators in Milwaukee, the company plans to raise more funding and hire up to 50 people here in Milwaukee. IdeaWake developers of idea management software and innovation tools for large enterprises such as was the first recipient of investment from Advocate Aurora’s InvestMKE fund which is focused on spurring more entrepreneurial activity in Southeast Wisconsin. IdeaWake continued to add big blue chip brands around the world as users of the platform. Socialeads a company being co-developed by Northwestern Mutual that applies AI to social media data to help financial reps acquire customers raised a $750,000 seed round led by Winnebago Seed Fund less than eight months after winning Northwestern Mutual’s Reverse Pitch Milwaukee competition. Scanalytics makers of IoT floormats announced earlier this year they are raising $1m round and then intends to raise a Series A.
Wantable a subscription ecommerce fashion startup continued to grow in 2018, moving to a larger warehouse space and closing a $1.4m funding round which included an investment from Northwestern Mutual Cream City Ventures. Lumanu a startup that helps brands connect with social media influencers raised a $1m seed round earlier this year. Margle Media produces social video marketing campaigns for big brands such as Petco. Earlier this year they received an investment from South Dakota Private Equity firm Anza. PAXAFE is a Minnesota company that is developing smart packaging solutions for high-value products such as jewelry that decided to move to Milwaukee after participating in gener8tor over the summer. It will be great to see them grow a team here in 2019, they expect to have $85k in monthly recurring revenue by end of 2019. DocLaunch is a startup that helps enterprises securely manage document workflows using blockchain technology. The company was founded by Michael Adam who also runs BankMyBiz a fintech company. Earlier this year the company brought on a former Zywave executive to help grow the business. Custom Reality Services is a startup developing virtual reality content for alternative therapies and empathy training. Earlier this year one of their films was screened at the US Open. Now, that you have reviewed the list of startups were watching in 2018. We want to hear about what local startups you’re watching, drop me a note. Matt Cordio is the founder and president of Skills Pipeline and Startup Milwaukee. Cordio is passionate about advancing the region’s economy forward through tech and startup ecosystem building. Cordio also serves on the board of Blue & Gold Ventures, Inc. Looking for a unique gift idea for someone you care about this holiday season? We’ve put together a list of a dozen great ideas from local startups right here in Southeast Wisconsin. We hope you enjoy and support these entrepreneurs who have decided to start and scale there businesses right here in the Milwaukee region! Peel it, stick it, love it. Chasing Paper is beautiful, well-designed removable wallpaper that will stick to nearly any surface. Created from conversations with serial movers, stylish mamas, renters who feel like anything but, DIYers, and, of course, commitment-phobes, Chasing Paper is simple to hang and easy to remove. Founder Elizabeth Rees grew up in the printing business here in Milwaukee launched Chasing Paper in New York City and recently moved the business to Walker’s Point in Milwaukee. Snacks make great stocking stuffers and Evolve Snacking is on a mission to actively create a better world through better food that is nutrient-dense, delicious and convenient. Their product portfolio includes Supernola a chunky snack of energizing tree nuts, seeds, and anti-inflammatory superfoods. These snacks are gluten-free, dairy-free and Gorilly Goods which manufactures organic fruit, nut and seed snacks and trail mixes that will give you raw strength. Milwaukee Denim Co. designs premium apparel and accessories that embody the grit, simplicity and beauty of Brew city, USA. Based in the city of its namesake, Milwaukee Denim Co. exists to prove that craftsmanship, American-made, and quality are not mutually exclusive. Milwaukee Denim Co. jeans, hats or other accessories make great gifts or stocking stuffers! Milwaukee’s Craft Brewing scene is booming. Purchase Sip Milwaukee’s brewery trail package for $30 and get a guide and exclusive deals at over 20 local breweries! Bright Cellars is the monthly wine subscription that pairs members with wine based on their individual taste. Bright Cellars gift recipients receive a unique gift code that allows them to take the company’s taste palate quiz, which asks questions like “what’s your favorite type of chocolate”. The quiz will match your recipient with four bottles of wine, based on their quiz responses, and send their new matches directly to their door each month. Gift subscriptions from Bright Cellars are completely customizable. You select the number of months in your recipient’s subscription (4 bottles per month) and you choose the delivery method. Gift codes can be sent via email (instant!) or via mail in a unique gift box. Each option provides an experience unlike any other for your friends and loved ones. Cheers and happy holidays! HaloVino is the shatterproof, stackable, stemless wine glass you are seeing all over town, including at Brewer's Miller Park, Buck's Fiserv Forum, Wisconsin State Fair, Milwaukee Film and Milwaukee's The Rep Theater group. Invented by a local sommelier and wine school owner, HaloVino's unique patented design makes wine taste better with none of the splatter. 100% dishwasher safe, HaloVino is a gift your wine-loving friends and family will love! Great for parties, picnics, pools, camping and boating. Even better, HaloVino is manufactured right here in Wisconsin. Purchase some HaloVino glasses for the wine lover on your list today, on Amazon. Cheers! Madalyn Joy Designs is an award-winning lingerie and loungewear company that embraces and celebrates contemporary femininity, body positivity, and female empowerment through beautiful handcrafted lingerie made right here in Port Washington, Wisconsin. Give the gift of personal style from Wantable. Select a gift card value to send instantly via email. The recipient can then choose between Style, Fitness, or Men's Fitness apparel, take a brief lifestyle quiz, and one of their expert stylists will ship a selection of handpicked pieces for them to try before they buy. It's the perfect-fit gift for everyone on your list. Give your loved one a gift that can last for a life-time! GenoPalate’s proprietary algorithm analyzes your genetics, health, and lifestyle information to deliver your personal food map and nutrition guide, to help you eat healthy and optimize your nutrition and wellness. So help a loved one transform the way they eat through the analysis of their DNA with GenoPalate! In 2011, MobCraft founders Henry Schwartz and Andrew Gierczak dreamt up an idea for a crowdsourced brewery where the people decide what’s brewed. The perfect gift for the beer lover in your life, near or far. Subscribe them to MobCraft's Crowdsourced Beer Releases! 3, 6, 12 and ongoing beer release options available! Not located in Wisconsin? That’s fine they ship beer to your door! Whether you're a bar hopper, coffee chugger, burger enthusiast, or family-fun seeker, Small Shops United is the bridge between you and fantastic deals at a wide variety of stores, shops, attractions, and eateries. With a Small Shops United Gift Pack, you can access exclusive deals and discounts at favorite local businesses using a single, wallet-sized card, or just your phone number. It is like “knowing a guy” at local spots all over town, pick one up today! The Tasting Board is the personalized monthly cheese subscription that pairs its members with unique artisanal cheeses, curated to their individual tastes. Gift recipients receive a unique gift code that allows them to take the company’s cheese quiz and view their results. The custom algorithm will match them with four artisanal cheeses, removing all the guesswork on your part, and send them straight to their door. Gift subscriptions from The Tasting Board are completely customizable. You select the number of months in your recipient’s subscription, and you choose the delivery method. Gift codes can be sent via email (instant!) or via mail in a unique gift box. Give your loved ones what they really want this year: personalized cheese matches they’re guaranteed to love. Now you have some great gift ideas from local startups who are building the region’s next generation economy. Happy Holidays! 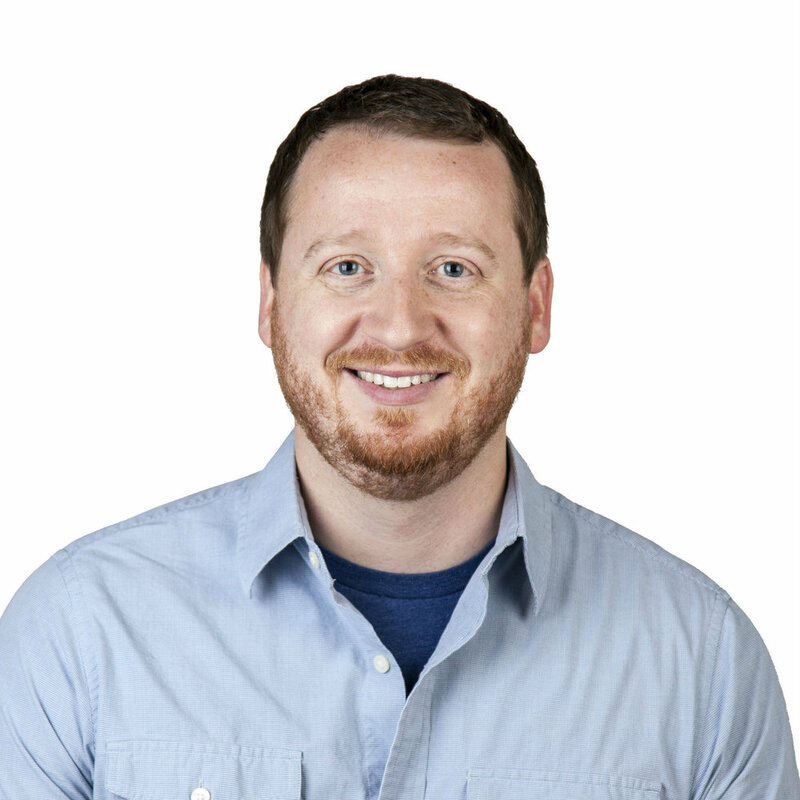 Matt Cordio is the founder and president of Skills Pipeline and Startup Milwaukee. Cordio is passionate about advancing the region’s economy forward through tech and startup ecosystem building. Milwaukee, WI - On Monday, May 14th at Radio Milwaukee, the inaugural Meet the Meetups event will bring together 23 of the community’s top technology Meetup groups for a night filled with tech talks, pizza, craft beer, live music, door prizes and more. The goal is to celebrate Milwaukee’s tech community and build more connectivity between techies in the region. The 23 collaborating Meetup groups cover various technology topics, ranging from software development programming languages to emerging areas of technology such as Data Science, Machine Learning and Cloud Hosting. Combined, these groups have over 16,000 members in the region. This will be the first time all of these groups have collaborated on a large-scale community-building event. Josh Gall, Director of Marketing Technology at Aurora Health Care, who played a critical role in Aurora’s partnership with Microsoft on the development of an Artificial Intelligence powered ChatBot. Ray Cole, Chief Technology Officer at Delta Defense, who is helping the fast-growing Inc 5000 company grow and scale their technology team. Dr. Derek Riley, Associate Professor and Program Director of Computer Science at MSOE. MSOE’s Computer Science program will have a strong focus on Artificial Intelligence. Joni Theobald, Program Director for TechHire at UMOS, Inc., a federally backed program that is training new tech workers in metro Milwaukee. Shion Guha, Assistant Professor of Computer Science at Marquette University, who is helping build the university’s data science and analytics programs. Meet the Meetups is free and open to the public. The event is being supported by some of the region’s top technology employers, including Aurora Health Care, Delta Defense and Northwestern Mutual. Other key sponsors of the event include Mars Solutions Group, Skills Pipeline, TechHire Milwaukee and Trisept Solutions. The 23 Participating Meetup Groups include: AWS Milwaukee, Azure Meetup, Big Data MKE, Brew City UX, devcodecamp, Docker Milwaukee, FinTech Wisconsin, Girl Develop It Milwaukee, Greater MKE Java Meetup, Laravel MKE, Milwaukee Agile, Milwaukee JS, Milwaukee Machine Learning, MKE Functional Programming, MKE PHP, MKE Search, ReactJS Wisconsin, Salesforce Saturday, Startup Milwaukee, Web414, Wisconsin Salesforce Developer Group, Wisconsin Dot Net User Group and Women in Big Data’s Midwest Chapter. See the 2019 list here. Milwaukee’s startup community gained significant momentum last year. There has never been a better time to launch a tech startup in Milwaukee. Through this list we are shining the spotlight on 25 local companies founded within the past five years that are poised to grow and scale here in Milwaukee creating good jobs and moving our local economy into the 21st century. This group of companies has the potential to push Milwaukee’s startup community to new heights in 2018 and beyond, so read up! The company which is developing a blood test to discover whether a heart transplant is at risk of rejection recently announced a $10 funding round that will help them bring their test to patients early this year. The company which spun out of Medical College of Wisconsin has now raised over $21 million. 2017 was a big year for the company, establishing partnerships with tech giants Cisco and Intel as well as receiving a $850,000 grant from the Department of Energy to study how to apply their floor sensor technology to increase energy efficiency of commercial buildings. It will be interesting to watch them build on the momentum in 2018. Access HealthNet which negotiates bundled healthcare services on behalf of self-insured employers reducing their healthcare costs raised $4.75 million in 2017 from Wisconsin Super Angel Fund and Brightstar Foundation. The company also added key hires such as VP of Product & Technology, Chris Fitzpatrick as they continue to build their technology platform. Exiting stealth mode at January’s Startup Milwaukee Emerge event, Frontdesk’s Jesse DePinto revealed that the company he and Kyle Weatherly founded in 2016 expanded to Charlotte, North Carolina in 2017 and they plan to launch in several other markets underserved by traditional hotel operators around the country in 2018. As demand for video interviewing technology continues to grow Montage raised $8.24 million in 2017, making it one of the largest VC deals in Southeast Wisconsin. The company also announced plans to move to a larger office in Delafield being developed by Hendricks Commercial Properties. After developing a technology product that has increased the efficiency of Aurora Health Care’s emergency departments, Emopti raised $4.52 million in 2017 led by Golden Angels Investors. It will be interesting to watch the company continue to grow and serve other healthcare providers around the country. The company which has developed patent-pending technology for an energy-efficient water purification system raised $1.55 million in December 2017. The plan is to use that capital to manufacture the product. The company raised a $665,000 seed round in the Fall of 2017 from Winnebago Seed Fund and local Angel Investor, Jeff DeAngelis. The company plans to use the capital infusion to expand their data science team which is building a proprietary healthcare analytics platform powered by Artificial Intelligence. You can learn more about Sift Medical Data at Startup Milwaukee’s Emerge pitch event in March showcasing local HealthTech startups. After gaining traction by helping Aurora Health Care crowdsource ideas for internal startups from their employees, IdeaWake was accepted into gener8tor’s accelerator program in the Fall of 2017. The company also added American Family Insurance and Kennedy’s and a major bank based in the Midwest as major clients in 2017. It will be exciting to watch IdeaWake take flight and add more customers in 2018. 2017 was a great year for Rent College Pads according to founder Dom Anzalone, the company expanded from helping students in 65 college towns find off campus housing to 100 markets in 2017. The company grew revenue by 96% in 2017 and may consider raising another round of funding in 2018. Wantable is an online lifestyle service for busy people on the go. Had a solid 2017. The company ranked #223 on the Inc. 500 list of fastest growing companies (by revenue growth) in America in 2017. The ranking made it the fastest growing company in the Milwaukee area. Wantable also moved the company’s distribution center in Walker’s Point to accommodate their rapid growth. Founded by Ray Seaver, who sold HR firm bswift to Aetna in 2014. Zizzl offers a product that helps small businesses tackle payroll and benefits. It will be interesting to watch the company grow and differentiate itself in what is a crowded space. Founded by a team of experienced financial professionals, LeaseCrunch is developing a software product that make the lease accounting process more efficient and launch it this year. In 2017 the team added Ane Ohm, an experienced startup executive as CEO. The company which helps individuals save money incrementally participated in gBeta a pre-accelerator program run by gener8tor and scored some partnerships in 2017. It will be interesting to watch them grow in 2018. There is no question that Blockchain is hot right now, every major company and several startups are trying to figure out how to leverage this distributed ledger technology. Milwaukee based SteamChain which was founded by two former Rockwell Automation employees, uses blockchain to help equipment manufacturers finance their equipment based on usage. The company participated in gener8tor in the Fall of 2018. Startup Milwaukee Emerge in February which will highlight SteamChain and other local startups leveraging blockchain, attend to learn more! According to Founder & CEO Mark Unak the firm raised $750,000 in 2017 and continued to score major partnerships with big tech companies around the world. The company has developed a tool that helps organizations look at complex data by using easier processes and simpler technologies. It will be interesting to see them continue to grow and land new partnerships in 2018. While there was no major news related to Bright Cellars in 2017, it seems as though the company which moved from Boston to Milwaukee in 2015 continued to grow in 2017. It will be interesting to see what they have up their sleeves in 2018. Interest in cryptocurrency has skyrocketed in recent months, this only helps Milwaukee based Coinigy which boasted over 20,000 paying users of their cryptocurrency trading platform when profiled by the Milwaukee Journal Sentinel in late 2017. It will be interesting to watch how the growth of the crypto space impacts the growth of Coinigy in 2018. Startup Milwaukee Emerge in February which will highlight Coinigy and other local startups leveraging blockchain, attend to learn more! Launched by Medical College of Wisconsin Professor, Sherry Zhang the company has developed a test kit that helps consumers determine what they should eat based on their DNA. The company participated in gener8tor’s gBeta program and full accelerator in Milwaukee in 2017. It will be interesting to watch the company grow and differentiate itself in a crowded market in 2018. ReadyList has developed a software product that helps hospitals and clinics improve patient safety, clinical staff satisfaction and overall efficiency. Brian Herriot, ReadyList’s founder, identified the need for ReadyList during his experience establishing operations for a new medical center campus at the University of California-San Francisco. Sommelier turned entrepreneur Jessica Bell has developed a better way to drink wine on the go. HaloVino’s plastic wine glass gained a ton of local press attention in 2018, the glass is used by large Milwaukee area venues such as Miller Park, the BMO Harris Bradley Center and the Milwaukee Rep, it also is available on Amazon! It will be interesting to watch Bell grow the company outside of the Milwaukee market after recently securing some funding from M7. Has developed a software product designed by private practice physical therapists to help small PT practices automate patient intake, monitor client compliance and assist with marketing. The company launched in 2017 and is gaining traction. You can learn more about Alinea Engage at Startup Milwaukee’s Emerge pitch event in March showcasing local HealthTech startups. Launched in the summer of 2017 by BankMyBiz Founder, Michael Adam DocLaunch aims to help companies manage document flows with their technology platform built using Blockchain technology. The company was built in partnership with local accounting firm Wipfli. Startup Milwaukee Emerge in February which will highlight Coinigy and other local startups leveraging blockchain, attend to learn more! Has developed a unique program that enables you to do your job (with your employer’s blessing) from thousands of miles away, while volunteering your skills to help a nonprofit. Venture with Impact is looking to raise seed funding and launch a new program in Asia this year. In 2017, footwear industry veterans Mark Kohlenberg and Laura Engerman launched Moral Code selling premium leather accessories and footwear for men. Moral Code claims their products match the quality of existing luxury brands at a lower price point. It will be interesting to watch Moral Code grow in 2018. Other notable Milwaukee area startups we are watching in 2018 include Nobo, Snapifeye, Small Shops United, Sourcing USA & SpotLunch. Have a startup we haven’t mentioned that you are watching in 2018? Shoot an email to matt@startupmke.org we always want to hear the community’s input. Momentum continued to build in Greater Milwaukee's startup community in 2017. Our Matt Cordio looks back on the top startup community stories from througout the year below. Aurora Health Care announced a $5 million early stage healthtech venture fund, InvestMKE led by Director of Strategic Innovation, Mike Rodgers. Northwestern Mutual announced Cream City Ventures a $5 million early stage led by Craig Schedler. Badger Fund of Funds announced local Angel Investor Ross Leinweber would be raising an early stage venture fund in Milwaukee, his fundraising efforts begin in early 2018. Aurora Health Care publicly discussed their strategic collaborations with local startups such as IdeaWake and EmOpti. Northwestern Mutual launches Reverse Pitch MKE an effort to seed local startups. Milwaukee Startup Week expanded statewide to 10 cities in Wisconsin, attendance at the second annual Milwaukee event in 2017 surges 57%. Northwestern Mutual hosted a summit where, CEO John Schlifske announced the company is committed to making Milwaukee a hub for technology talent and startups. In July, the BREW a water focused accelerator announced five startups from around the world would be participating in their accelerator program. In Fall, a consortium of local companies announced they were sponsoring gener8tor's pre-accelerator program gBeta which is moving to UWM's Lubar Center for Entrepreneurship. In November, gener8tor graduated six startups from their nationally ranked accelerator program. Three of the startups, IdeaWake, SteamChain and GenoPalate are based in Milwaukee. In December, MWERC graduated six startups from their WERCbench labs program. The startups came from all over the Midwest. Pharmaceutical startup Promentis Pharmaceuticals raised $26 million in March. Video interviewing company Montage Talent raised an $8 million Series D round in September. Who will be judging reverse pitch? The judges will include senior executives, individuals responsible for Venture Capital sources and the innovation team at Northwestern Mutual. What criteria will be used for reverse pitch? Judges will rate low, medium, high in the following categories. Proposed Product / Solution, Business & Revenue Model, Competitive Positioning, Strength of Management, Consideration of Risks and Use of Investment. Does the pitching company have to be a startup or can an existing business pitch? No. Growing businesses in SE Wisconsin will be preferred whether they are new or existing. Northwestern Mutual is looking to invest in a business for mutual value. What details are available on the SAFE round? What kind of mentorship and guidance is available to pitching companies? By collocating with the innovation team at Northwestern Mutual, access to mentors, SMEs and business advisors will be available. Additional options are also available based upon need from 3rd party organizations. Will we have to sign an NDA to get access to more information? Potentially. For example, to access Northwestern Mutual proprietary data, appropriate steps must be completed. What are the key dates and timeframes for us? How much of a demo / MVP does a team need to pitch back? The judges are business people who will need to see something to understand your solution. The closer to the future working product, the better. Visual click through demos are a minimum requirement. What if my startup is pursuing other funding models? Can we propose other funding models? Absolutely. Northwestern Mutual may or may not be able to flex to some models. Is there an option for more investment beyond $85,000? Yes, based upon growth and milestone achievements. What if I am interested in pitching, but can’t make it on January 8th? Since the group of judges have busy schedules, it would be difficult to judge a pitchback outside of that event. If this is a significant constraint, please talk with David Rice. What should I include in my pitch-back application? Please include all materials you would like to be considered in your application, including a rough draft of your pitch deck (business plan, business model canvas, wireframes, etc). Materials will not be considered final, but will be used to determine which applicants can pitch on January 8th. How long do I have to pitch at the January 8th event? If your application is accepted to pitch back to Northwestern Mutual judges, you will have 20 minutes to present the idea and all related materials. Any material you will need to present your idea. If you are using technology as part of your presentation, don’t forget your power cord. We will provide you the connectors to our Wi-Fi and displays. Please note, you will not be able to print or use a thumb drive to present your idea. If we are selected to pitch on January 8th, will we be able to see other teams pitch? Will other teams hear ours? No. We will consider each team’s business plan/solution to be proprietary to them. Only a team from Northwestern Mutual will sit in on the pitches. Will the leading idea be selected by the panel on January 8th? If not, when will we know if we will be offered an investment? Investment decisions will not be made on January 8th. Northwestern Mutual will follow up with teams by the end of the month. Can existing startups that have solutions to Northwestern Mutual problem statements apply? Absolutely. We welcome existing startups that can solve these problems. Companies who already have a determined valuation should include that information in their pitch. Do you love Milwaukee as much as I do? Before I began my career, I thought I had to leave Milwaukee in order to be successful. My friends were graduating school and heading to places like New York and San Francisco. In my head, I had to get out of here if I wanted a career in the tech or the startup industry. And then I found Ward4. Or, rather, Ward4 found me. And thankfully it did, or I wouldn’t be in Milwaukee today. In June 2015, I did an "intern match" and was connected with Bright Cellars, the company that made me fall in love with startups. I was introduced to a completely new lifestyle. A lifestyle filled with late nights, passionate individuals, and more bottles of wine than I would get hours of sleep that night. I was immersed in a community that I never imagined would exist in Milwaukee. And the craziest thing? My dream job was being built around me. And I don’t just say that metaphorically. Ward4 housed Bright Cellars, and its walls were literally being built around me as I sat in my desk. How's that for a metaphor? After some incredible months at Bright Cellars, I was given the opportunity to manage Ward4 under CSA Partners LLC, a group of individuals that I soon realized had the same passion, drive, and excitement about Wisconsin's startup community that I had. So we got to work. In just over two years, we've turned a cold, empty building into a vibrant, industrial workspace that houses over 50 business entities with over 130 members to date. We've partnered with organizations like the Wisconsin Veterans Chamber of Commerce and the Wisconsin LGBT Chamber of Commerce, and aim to give entrepreneurs the tools necessary to be successful in Milwaukee's community. And we've been lucky to aid, alongside other incredible companies, in building one heck of an incredible community. Ward4 introduced me to a vibrant, growing startup ecosystem that I never imagined would exist in Milwaukee. It is a lighthouse for innovation in a city with incredible potential. So it’s time for us to open it up and share it with the community. That’s why we’ll be offering free coworking to all entrepreneurs during Milwaukee Startup Week. November 6th-10th from 9am-5pm, entrepreneurs can take advantage of access to a desk space, wifi, space amenities and community events. I’m here to stay, because Milwaukee is a destination. Stop by to see why Ward4 going to keep it that way. While launching a startup is tough, it is easier if you know where to turn for advice. Join us for our Launch Conference to make it a bit easier by connecting you to resources you need to launch your company. We will be holding a panel discussion about Veteran Entrepreneurship. The panel will discuss the successes and hurdles of starting a business or project as a veteran. They will also discuss resources available to veterans and have open dialogue including questions and answer. Are you a programmer who has been thinking about turning one of your side projects into a business? Come chat with Nick Gartmann from RokkinCat to learn how to make that happen. At this event, we'll talk about the essential activities of building a tech startup, why software developers are in a uniquely advantageous position to do well at those activities and much more. Join the UWM Lubar Entrepreneurship Center as we kick off the Student Startup Challenge at the Second Annual Business Model Canvas Mixer. We are asking you (the community) to join us as we brainstorm aspects of the student’s businesses as well as innovative models. Experience a night of thought-provoking talks from experts and professionals who want to share their ideas on how we can move our talent thinking forward. It's a fast-paced event experience with a unique format: each speaker has 5 minutes, 20 slides rotating at 15 seconds each to blow your mind! Part entertainment, part education it's a not-to-be-missed event. The greatest driving force of change has always been through the collaboration of great minds. During The Summit, we will bring together individuals that created the seemingly impossible. This panel will discuss everything from ideation, funding, growth, management and when to exit. Connecting startups to Established companies a Key Theme of Milwaukee Startup Week! Connecting high-growth startups to local corporations can be a catalyst for Milwaukee's startup community. We encourage startup founders and corporate executives to engage in these Milwaukee Startup Week events! At this event, Northwestern Mutual will pitch to entrepreneurs, outlining potential business challenges and big ideas Northwestern Mutual is looking to explore and solve. Teams can earn a seed investment of up to $85,000 and more. Join us for the first-ever Startup Milwaukee IGNITION event during Milwaukee Startup Week. This IGNITION event will focus on the story behind how Aurora Health Care's innovation team has played a critical role in the development of EmOpti, a Milwaukee startup focused on optimizing acute care. Listen to Ted Balistreri, co-owner of Sendik's Food Markets—the ones with the red bags—discuss the ideas behind Sendik's recent innovations. Have you heard about their Online Grocery Service, Grind2Energy and Fresh2Go initiatives? Startup Co-Lab is helping bridge the gap between startups and access to mid-size and large companies. The goal of Co-Lab is to provide a forum for startups to connect with corporations to receive feedback, market validation and the opportunity to acquire them as customers. Apply today as a startup or corporation. Hear from startups, investors and corporate leaders on best practices for fostering collaboration. If partnerships are successful, startups and corporations alike can generate deeper insight into specific technologies and reap mutually beneficial rewards of new vendor relationships. Join UWM Lubar Entrepreneurship Center and Marquette Kohler Center for Entrepreneurship for an introductory workshop to learn about the design thinking process and how it can help solve complex challenges. You will learn the methodology of design thinking and get the chance to apply your knowledge in a guided group exercise to analyze user needs and generate ideas. Building Milwaukee's Tech Community a key part of Milwaukee Startup Week! If you travel to startup hotspots around the globe you'll quickly learn that having a vibrant, local technology community is an essential part of having a growing, vibrant high-growth startup community. November's MKE Big Data meetup will feature Hamilton Faris Head of Enterprise Data & Analytics, Hamilton Faris is responsible for Northwestern Mutual’s overall data and analytics strategy. Hamilton joined the Northwestern Mutual and LearnVest companies in 2016 prior to joining Northwestern Mutual Hamilton worked at Metlife. Artificial Neural Networks and Deep Learning have generated a lot of excitement in Machine Learning research and industry. Come and explore a movie recommender system based on deep learning and neural networks. We'll also talk about how it compares to more traditional recommender algorithms like Bayesian networks and Nearest Neighbor. Blockchain. It’s a word that can be seen everywhere from business magazines to large company websites. What began as the technical undergirding of the anonymous cryptocurrency bitcoin is now poised to revolutionize life as we know it. Join us as we bring together the area’s blockchain thought leaders for a morning of exploration on this fascinating disruptive technology. Join us as we take FInTech in Milwaukee to the next level as a part of Milwaukee Startup Week's Fintech Edition. We have assembled an expert panel of industry leaders to deepen our understanding of the latest trends and provide insights into what it will take to build a vibrant FinTech community in Milwaukee. Have you ever wanted to create a new website or set of APIs for your new startup idea but you just didn't know where to get started? You're in luck! In this workshop, we will go through the basics of how to get started with node.js and Express.js. Are you a programmer who has been thinking about turning one of your side projects into a business? Come chat with Nick Gartmann from RokkinCat to learn how to make that happen. He and RokkinCat have helped many startups get off the ground as well as launched a few products of their own. Milwaukee Code Camp is a free software development conference put on by local developers for the Milwaukee community. We run it entirely as volunteers and just want to see our community grow! We hope to see you at Milwaukee Startup Week, November 6th through 12th, see all 40+ events by clicking here. Milwaukee Startup Week presented by Northwestern Mutual aims to connect, educate and celebrate entrepreneurs around Southeast Wisconsin. The week will be packed with over 40 networking events, workshops, hackathons and pitch competitions. Milwaukee Startup Week is supported by Aurora Health Care, Concordia University Wisconsin, Husch Blackwell, BizTimes Media and Newsradio 620 WTMJ. Wisconsin Startup Week is a statewide initiative to connect, educate and celebrate entrepreneurs in 10 cities around the state of Wisconsin. The week will be packed with over 200 networking events, workshops, hackathons and pitch competitions. Wisconsin Startup Week is supported by Aurora Health Care, Concordia University Wisconsin, Husch Blackwell and Northwestern Mutual. To learn more about all the events happening around the state visit WIStartupWeek.org. Join us for the first-ever Startup Milwaukee IGNITION event that will focus on the story behind how Aurora Health Care's innovation team played a critical role in the development of EmOpti, a Milwaukee startup focused on optimizing acute care. PICO's Southeast Wisconsin Bionet Event Series returns for an evening of networking, discussion and refreshments as we officially launch Milwaukee's first organization dedicated to supporting the healthcare technology industry, Healthtech MKE! This is Healthtech MKE's first Startup Showcase! At HealthtechMKE we want to support and highlight Milwaukee's growing healthcare technology scene. The best way to do that is to bring together a dozen of the best healthtech companies to show off their ideas and products. The Healthcare Innovation Pitch (HIP) is the highly publicized Bridge to Cures biannual event. It is designed as a “toned down” version of the ABC show “Shark Tank”, where healthcare entrepreneurs get the rare opportunity to pitch to a panel of venture capitalists and serial entrepreneurs. Join Loren Peterson, owner of EAS-MKE, LLC, and Dr. Steven Visuri, CEO and co-founder of FloraSeq, as they discuss their experiences within healthcare/technology startups here in Wisconsin. This three-day national HHS SBIR/STTR Conference educates attendees about America’s Largest Seed Fund and how to apply for it. With over $920 million dollars of annual HHS funding, this is one of the largest sources of early-stage capital for technology commercialization in the US. Startup Milwaukee, Skills Pipeline Launch a New Event Series Focused on Building The Region's Tech Community! Code + Craft Brews will provide a forum for the region's technology leaders and talent to exchange ideas on how to build the region's tech economy. Milwaukee, WI - Startup Milwaukee hopes to help build and strengthen the local tech community with their Code + Craft Brews quarterly event series. Code + Craft Brews will highlight local technology leaders who are having a significant impact in their organization as well as the broader the tech community in Southeast Wisconsin. Code + Craft Brews will provide a forum for executives and technologists to share best practices on attracting, retaining and managing tech talent. 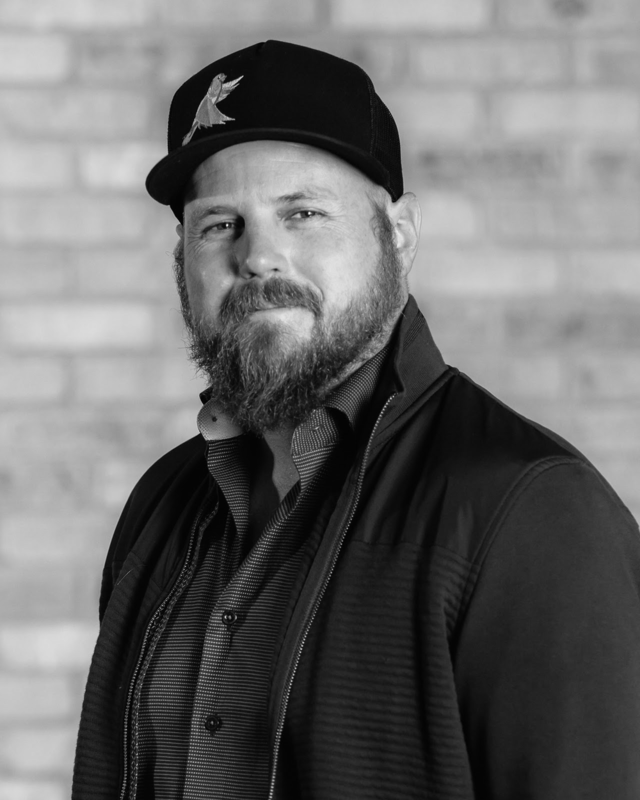 "Milwaukee already has several amazing events that focus on helping the tech community share best practices around specific technologies" said Matt Cordio, Founder & President of Startup Milwaukee & Skills Pipeline. "Our goal with Code + Craft Brews is to convene technologists, tech executives and community leaders to discuss how to attract and retain technology talent in the region." The first Code + Craft Brews event will be hosted at Good City Brewing's new "Good City Hall" event space. The event will feature a fireside chat with Emilia Sherifova, Vice President of Enterprise Architecture & Engineering at Northwestern Mutual. Prior to joining Northwestern Mutual Sherifova was CTO of LearnVest a financial planning startup acquired by Northwestern Mutual in 2015. Sherifova will discuss her role in Northwestern Mutual's digital transformation and her experiences building and leading technology teams at startups and large enterprises. Code + Craft Brews events are free and open to the public. Software Engineers, Technology Company Executives and community leaders are encouraged to attend. Startup Milwaukee is building and networking Southeast Wisconsin's high-growth startup community. Learn more about our Startup Milwaukee at StartupMKE.org. Skills Pipeline helps companies grow through helping them access the top digital talent in the Midwest. We help technology professionals grow by helping them find meaningful work opportunities. To learn more about Skills Pipeline visit, SkillsPipeline.com. Paul Lemley invited me to Stone Creek Coffee in Walkers Point, his remote office of choice especially on a hot summer day. Paul marked out his passion for storytelling in Dubuque, Iowa, setting up Dubuque’s first TEDx event and working alongside a non-profit first to augment their marketing capabilities. Paul began pitching Hivecast in the summer of 2016 to old employers, friends and family, and found a forward momentum that has led him to a four person partnership and the upcoming launch of his first app. Hivecast’s inspiration came from the Lumiere Brother’s cinemagraph, the first recording and projecting, production and distribution film technology. Paul believed if he could take their spirit of innovation and apply it to social video sharing, online storytelling would greatly improve. With Hivecast, one person can host 3 people to livesteam at an event. That host acts as the producer between those livestreams, transitioning perspectives and selecting a single audio stream. Since there’s a broad spectrum of live video, Paul wanted to bring crowd sourced livestreaming toa video production company standard of quality and storytelling. “In the midwest you need to see a return in a short period of time,” Paul explains that there’s a small number of potential investors in the Midwest. As a result, developing an idea into a viable product and business model was necessary to gain traction for Hivecast. Paul also had to learn that finding talent was all about perfecting a pitch for both the business and for himself. Paul puts it simply as why he’s staying in MKE: its home, its cheaper, and building in the Midwest has all the same tech and resources as the coasts. Since his team already works remotely- with a designer in Minneapolis, MN, and a developer in Grand Rapids, MI, Paul believes working separately prevents a groupthink mentality and keeps the team’s incoming ideas fresh. Simply put, Hivecast has no desire to set up anywhere else. As a firm believer that ideas shouldn’t be developed in secret, Paul advises entrepreneurs to put their idea on blast. “Tell as many people around you, shoot holes in your idea, generate buzz around it, and get your connections to introduce you to all the right people… It takes a lot of grit and investment to get going, but being candid with yourself [and your skills] is what gets you closer to your goals. All the rest is bullshiMany thanks to Paul and the rest of the team at Hivecast for this opportunity to learn more about their mission and help inspire the rest of the Milwaukee Startup community with their story. You can sign up for as a beta tester or learn more about Hivecast at their website Hivecast.co. Startup Spotlight is a summer series and collaboration between Pomelo Productions and Startup Milwaukee. Author Alycia Griesi is the Lead Graphic Designer and Content Creator for Pomelo Productions. Alycia works remotely in Salem, Wisconsin, and spends most of her free time baking, biking, and playing with her dog Vinnie. For article inquiries, email alycia@pomeloproductions.com.